Startup Whisperer asks: Is SEO Dead? If it is , then how to Get back your book: Disabling Facebook Personalisation. How Digitally Engaged are the Parties ? 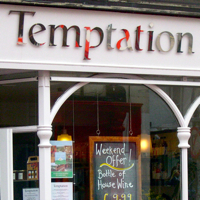 Recorded at Temptation, 56 Gardner Street, Brighton. This entry was posted Monday, April 26th, 2010 at 11:30 am	and is filed under politics, security, seo, social media. You can leave a response, or trackback from your own site.